When I published my first book four years ago, I didn't even know about the USA Today bestsellers list, much less dream that I would one day be an official USA Today bestselling author. But it's finally happened! 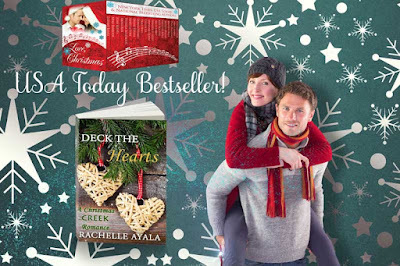 The multi-author anthology I'm a member of, Love, Christmas, made the October 27, 2016 USA Today Bestseller's List. I'm truly grateful to all my fans, followers, fellow authors, and friends who've supported my writing endeavors and hung around with me all those years from Critique Circle to Romance In a Month to Mimi's Gang and Author's Billboard. Many thanks also to my Readers' Club who beta read, critique, and give me companionship as I write and create stories to entertain and maybe enlight your lives. It truly takes a village! And I'm both grateful and humbled by this honor.